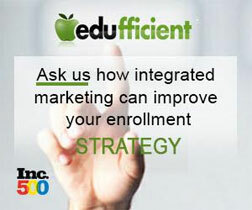 Using Partnerships to Unlock Investment Opportunities Across the Education Life Cycle. I’m reaching out to you, as a friend of my firm, to offer you a special VIP rate — $500 off the standard rate. Chairing the conference is Jason Rosenberg, managing director at the Education Opportunity Fund of Sterling Partners, the prominent Chicago-based private equity firm, with offices in Baltimore and Miami. You’ll hear from Jason and 20 other experienced for-profit education company pros who will share their perspectives and lessons learned. To register, please call Mary Regan, at 212-832-7300 ext. 0, or email her at mregan@capitalroundtable.com. The conference is being held Thursday, July 24th, in midtown Manhattan at the New York Athletic Club. I’m reaching out to you, as a friend of my firm, to offer you a special VIP rate — $400 off the standard rate. Your price to register is only $995! The conference is being chaired by Tony Miller, former deputy secretary and chief operating officer of the U.S. Dept. of Education, and now a partner at Chicago-based Vistria Group, a private investment firm focused on building companies in the for-profit education services industry. Before working in the DOE, Tony served as a director at Silver Lake Partners, a global leader in technology investing, where he helped launch the firm’s value creation team as an operating partner. Joining Tony are 20 for-profit education company experts who will participate in three panel discussions, two informative keynote presentations, and two informal conversations. The conference agenda affords exceptional networking opportunities, including ample time, with session breaks and a buffet lunch, to exchange ideas, swap business cards, and form or renew important relationships. This special VIP rate is not available online. To register, please call Joanna Levin at 212-832-7300 ext. 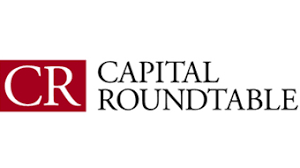 0 or email her at jlevin@capitalroundtable.com. Be sure to use my name to qualify for this special rate. The capital round table event last week at the University Club was standing room only. They had to bring out additional tables to accommodate the surge in attendance. Lots of strong speakers, companies & industry power players delivered yet another strong event. Clearly the most influential gathering of PE investing in education and educational service companies. Diane Auer-Jones, Career Education Corp.
James J. Goll, BMO Capital Markets Corp.
Jeffrey M. Silber, BMO Capital Markets Corp.